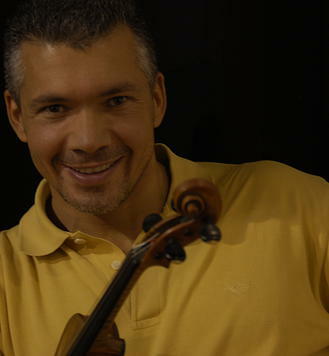 He was born in Turin in 1963 and began studying the violin under the tuition of his father. He graduated at the age of 17. 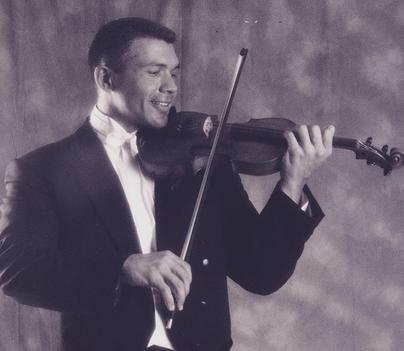 Teacher of ‘principal violin’ at the Conservatory of Music ‘L.Peros’ in Campobosso, he has worked simultaneously with the folllowing Italian orchestras: RAI Symphony Orchestras (Turin and Rome), the Teatro dell’Opera di Roma , and the Teatro Petruzzelli (Bari). He won the national competition organized by the RAI Symphony Orchestra of Rome in 1983, and the competition for The Orchestra of the ‘Teatro dell’Opera di Roma’ in 1997, in which he is currently working as the head of second violins. He collaborates intensively (often as a soloist or concertmaster) with various groups performing chamber music; this has brought him to perform in Italy, Spain, France, Holland, Denmark, USA, Japan and several countries in South America. He has worked with ‘I Solisti Aquiliani’ and ‘The Philarmonic Orchestra of Rome’ with whom he has performed many times in Italy and abroad. He reguarly performs as concertmaster with the ‘Orchstra Sinfonica Abruzzese’ and the ‘Regional Orchestra of Marche’. In 1990 he founded the association ‘Orchestra of Rome’ with whom he has toured internationally, playing in some of the most prestigious concert halls in the world such as ‘Olympia’ – Paris and ‘Tokyo Opera City’. He has composed the soundtracks for some of the most important films in Italian cinema such as ‘Il Postino’ and ‘Life is beautiful’ and collaborated with Italy’s greatest film composers such as Luis Bacalov, Ennio Morricone and Nicola Piovani. Between 1999 and 2003 he taught at the orchestral training course ‘F. Fenaroli’ (Lanciano) and has taught the Abruzzese Youth Orchestra for many years now. Antonio Pellegrino plays an anonymous violin dated 1700.